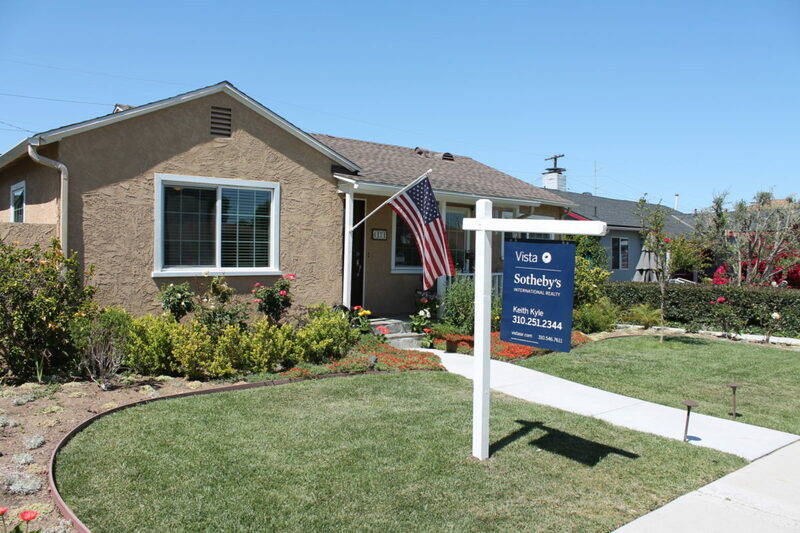 Many Torrance buyers I meet and work with are interested in waiting to buy until the market goes down or even better….at the bottom of the market. It is certainly natural to want to purchase a home, perhaps the largest and most significant purchase in one’s life, when you are confident that the price will not go down any further and when investment opportunities are at their highest. With the South Bay real estate market slowing down and some area housing markets getting hit on a number of fronts, including an over abundance of inventory, increasing foreclosures, higher interest rates, and more restrictive lending practices, whether to wait, and for how long, is a very important question. Then, for one reason or another, the economy slows down. Companies lay off employees and people become concerned about where they spend their money. As a result, the economy slows even further. When it real slows down we have a recession. Although that’s certainly not the current situation and the economy is on fire, people still often think a dip or recession is just around the corner. During such a time, fewer people are buying homes. Even so, some homeowners find themselves in a situation where they must sell. Families grow beyond the capacity of the home, employees get relocated, and some may even find themselves unable to make their mortgage payment. Keep in mind that only a lucky few actually buy at the bottom or sell at the peak. For most others they buy a home while the market is either going up or going down. Trying to time it perfectly may mean missing out on a long term opportunity. We know many folks who waited and waited until they were finally priced out of an area and then were kicking themselves for waiting for the perfect deal. In the current market sellers When the supply of available houses is greater than the supply of buyers, appreciation may slow and prices may even fall, as happened in the early eighties and the early to mid-nineties. If you are lucky enough to purchase a home during a slow period, you can be reasonably certain the economy will begin to show strength again. At times, real estate values may even surge drastically. While the goal is always to maximize your investment by purchasing when prices are more affordable, trying to time the market is nearly impossible. Keep in mind that there are very few that get “lucky” and time the market…..most either buy on the way down, or when the housing market is on the way back up. One problem with attempting to time your purchase to the bottom of the market is that no one can accurately predict the future. The current home buying environment generally works best for first-time buyers. People who already have a home usually need to sell it in order to buy their next one. If a “move-up” buyer wants to buy a home during a depressed market, that means they usually have to sell one during the slow market, too. If a seller wants to sell his home to take advantage of a “hot” market when prices are fairly high, they generally have to buy their next home during that same hot market. My advice to my clients in this market is twofold. First, it is important to consider your situation carefully. If you are planning on owning a home for a while, price fluctuations are not quite as important and you’ll have the ability to ride out any downturn. In the meantime the money saved on rent over the next few years can be significant, as well as the tax breatk. Secondly, the current market offers buyers the opportunity to search for homes price well below market value and with a built in price proctection.